When small-for-his-age Noah Shrimpton moves to a new school, the class bully starts picking on him. Noah has no friends to support him and is afraid to tell anyone. He starts to use his journal to express himself, doodling all sorts of outlandish scenarios where he beats the bully (sometimes involving superheroes or giants!). Follow Noah as he learns to make friends and gain the confidence to stand up to the bully in this contemporary tale. Developed in conjunction with school teachers and child development experts, this picture book deals with the current issue of bullying in a sensitive way and is perfect for any school-aged child and their parents. You can purchase on Amazon here. As you may be aware bullying is a real thing which many of our children face daily and sadly in some cases we are unaware of what is happening to our children. As adults and parents the best thing we can do for our kids is teach them to one not be the bully and two speak up when someone is bullying them. 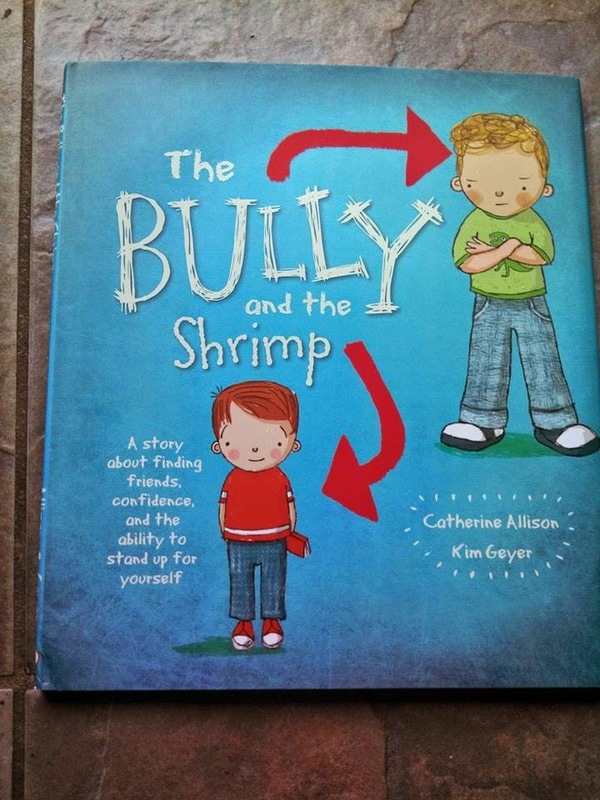 The Bully and the Shrimp was a good book which even though as far as I know my kids haven't been bullied they do often do it to each other, so it was a nice story to share with them along with having them open up and express their feelings about bullying. I would recommend this book to all kids of all ages even I picked up on some things while reading it with my kids.